Episodes 0 and 1 of Titansgrave debuted on Geek & Sundry last week and we’ve been delighted with the response. After working on this since last year, it was great to see the show begin and the way the community embraced it. For those of you not so familiar with RPGs generally and Green Ronin specifically, let me quickly answer the most common question we are seeing. Yes, you’ll be able to buy the Fantasy AGE RPG and yes, there will be a Titansgrave book to go with it. I’ve been working feverishly (sometimes literally) to finish them so we can debut them at GenCon in August. They will be in stores shortly thereafter. You can follow the above links to read about the Fantasy AGE and Titansgrave books in our online store. So this week you were introduced to our fabulous players and their characters: Laura Bailey as Lemley, Hank Green as Aankia, Alison Haislip as Killiel, and Yuri Lowenthal as S’lethkk. Back in March I flew down to Burbank for a character creation day. Hank could not be there (we did his character over Skype), but the other players were, as was GM Wil Wheaton. While some people like to just make their characters at home and bring them to the first session, I prefer to create characters as a group. This lets everyone talk and bounce ideas off one another, which usually leads to stronger characters. Wil started by giving the players some background on Valkana and explaining that it’s a science fantasy “swords and blasters” setting. I then guided Laura, Alison, and Yuri through character creation. They conveniently settled on warrior, rogue, and mage (the three classes of Fantasy AGE) respectively. Hank had previously made a rogue as well. As for races, I explained that Fantasy AGE featured dwarves, elves, gnomes, halflings, humans, and orcs (the fantasy classics, if you will). Valkana also has saurians, who are a race of intelligent lizardfolk. I think it was Yuri who first asked about playing a mixed-heritage character like a half-orc. I like to accommodate players if I can, so even though I didn’t have rules for such at that moment I said they could do that if they wanted. And oh, they wanted. Half elf/half human? Too tame for our intrepid adventures! Alison decided Killiel would be half elf and half dwarf. Yuri got crazy with half saurian and half orc (you can see Hank’s amusing reaction to that in Episode 0). Laura, perhaps feeling left out as a plain ole human, decided that she was adopted by saurians. I rolled with all this and made rulings on the fly as needed. Later, as I was finishing Fantasy AGE, I made sure to add a section on mixed heritage characters to cover the bases. After doing all the nuts and bolts work of picking classes, talents, spells, equipment, and so on, we moved on to goals and ties. This is an important stage of character creation in Fantasy AGE, as it helps flesh out the characters. Players create personal goals for their characters. Basically, why is your character an adventurer and what do they want to achieve? Ties are the things that bind the characters together. How did the group get together? What made them into an adventuring party? This is where a lot of the fun stuff you see in Episode 0 was first conceived. You can see by the end of that even though this was the first adventure of the campaign, the group already had a nascent identity. The character creation day was also crucial for Wil, who was then able to take what he had learned about the characters and think about ways to work that material into the campaign. As you’ll see in the coming weeks, this is something Wil is quite adept at! With characters created, I flew back home from Burbank 12 hours after I arrived. I would return in just a few days for the beginning of the shoot. More on that another time! To keep up on Titansgrave and Fantasy AGE news over the coming weeks, check back here or follow us on Twitter at @GreenRoninPub or on Facebook. 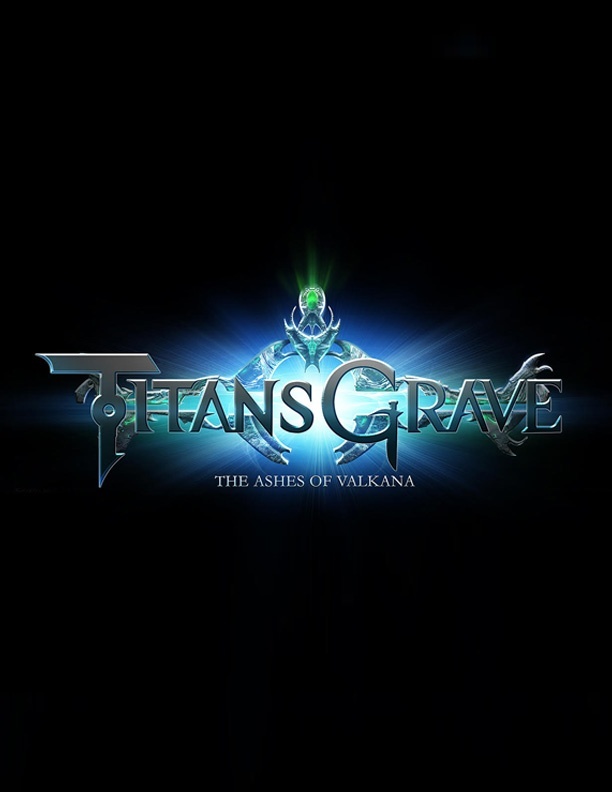 The Titansgrave RPG has its own Facebook page, too. Ronin Round Table: Blue Rose Rogues Gallery: New Mutants & Masterminds PDF Series!